FIVE Interiors have recently completed a new branch for ‘Estate Agent of The Year 2015’ winners Pygott & Crone in Cleethorpes. 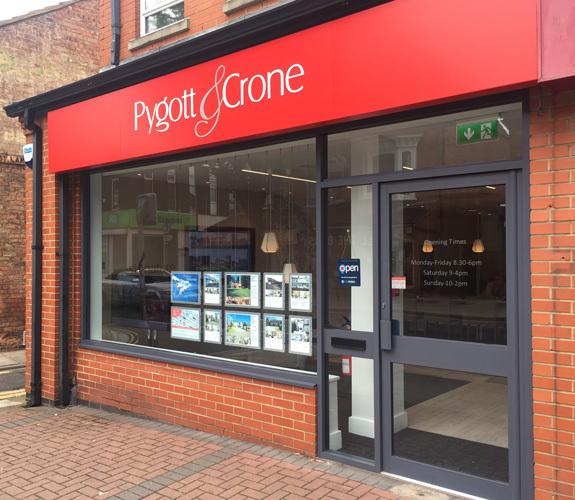 The FIVE team carried out a full estate agent office design scheme for Pygott & Crone in line with their head office, a project also newly completed by FIVE. The result is a stunning new scheme with lounge style soft seating areas with integrated LED lighting and feature pendants, achieving a sophisticated new look. Pygott & Crone, who have a network of over 600 offices nationwide and a long list of awards to their name, are continuing their refurbishment programme with FIVE Interiors and will be unveiling exciting new projects very soon.